If you’re looking at mobile home communities in Florida, consider the amazing amenities offered by Lake Griffin Harbor. Located in Leesburg, FL, our active adult community provides many opportunities to live an affordable, fun-filled lifestyle. Situated on the scenic shores of Lake Griffin, our spacious, gated, and pet-friendly community provides amazing opportunities for fishing, boating, and other forms of outdoor recreation. In fact, Lake Griffin – which is part of the majestic Harris Chain of Lakes – plays host to regular bass fishing tournaments, so you know the angling is exciting. Our 55-slip marina offers a great place to store your watercraft, so you can have easy access to the water anytime your heart desires it. 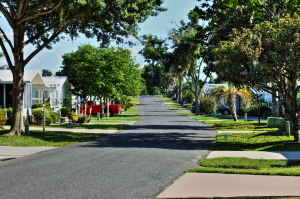 Few other mobile home communities offer so many recreational options within their gates. However, because Lake Griffin Harbor is located in Leesburg – and close to Orlando – you’ll also enjoy easy access to a wide array of world-class attractions, restaurants, music venues, comedy clubs, and so much more. Stop looking at inferior mobile home communities in the Leesburg, FL, area, and contact one of our friendly Lifestyle Consultants today to learn more about all that Lake Griffin Harbor has to offer.